Yes, I photograph cats too and love doing so whether it's in the studio or at your home. I'd like you to meet three very special cats whom I photographed in and around their house so they could be completely relaxed as their humans wanted images representative of how they see them everyday. Dickens is 19 years and theirs is the only home he's ever known; lucky boy! Billy is also an elder statesman and lives the Life of Riley with Dickens and his sister Roxy, whom the family took in after a parent passed away. It was such a pleasure hanging with these cool cats and hang we did. It took a couple of hours of just being around the house for all the cats to relax and starting doing what they normally do so I could capture them in their natural state. No worry, that's just how it goes with cats and I plan that into the session schedule so there's no pressure on anyone. Before I photographed their cats, I also photographed their three sweet pups in the studio. Having loved all the images, the family wanted to do something that also included their previous pets that have since crossed the rainbow bridge so I suggested an album. They had a lot of print photographs, but no negatives. They also had a number of cell phone images. They sent me all their digital images and I went to their home and photographed all of their favorite print images and then retouched each to enhance as much as possible and applied artwork to make them all the same tone for consistency in the latter part of the album. 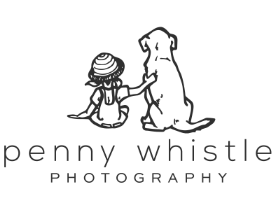 Once I had the entire set of images; the dogs from the studio session, the cats from the in-home portrait session and the enhanced images of all their earlier pets, I then designed a custom album with each animal having it's own spread. The clients chose my premium Signature album which includes custom, hand-tooled leather and accents specifically selected to match their home with the images printed on Fuji deep matte paper for incredible depth and beauty. The album is handmade in a 30-step process. The video doesn't really do it justice, but I wanted you to see how special this project turned out. The client too was thrilled saying "The album is sensational! The case for the album was simply touching! You are beyond creative, amazing and fabulous!!!!! Thank you so very, very, very much. This is so special and deeply appreciated." I love my job (and apologies for the creaky voice in the video; I'm trying to get over a cold)! This lovely couple wanted a photo album that included all of their beloved pets, both present and past.